Implant Clinic helps people get their teeth back! 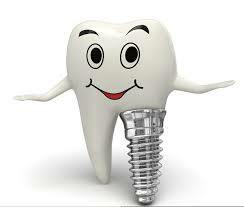 Dental implants are small titanium screws that can be used to replace a single or multiple teeth. From the time they were discovered in the mid 1970’s dental implant treatment has progress and improved dramatically through time. “We have seen a marked increase in the number of patients who are seeking dental implant treatment” says Dr Mariana Cadorin. Unlike dentures, dental implants are fixed into the jaw bone and provide a fixed solution or alternative to natural teeth. Brighton implant clinic provide a FREE assessment to all patients who are interested in having dental implant treatment. The 1 hour consultation consists of an appointment with a qualified GDC registered dentist. 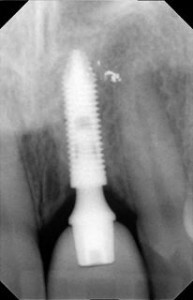 All radiographs are included within this free assessment. A comprehensive treatment plan is provided to all patients detailing what treatment is require and how many appointments are needed. A detailed breakdown of costs is also discussed with each patient. For more information about dental implants please feel free to Contact Brighton Implant Clinic or Call us on 0800 111 6623 .